w) CHALLONERS: A large, listed house faced in knapped flint which may be glimpsed over the wall from the south-west. 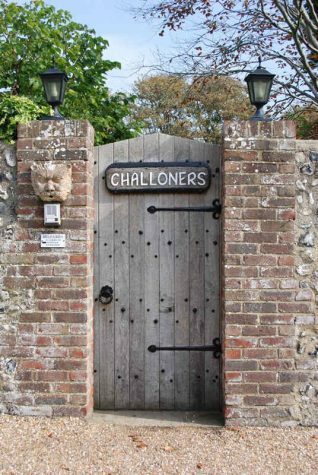 Formerly the manor house and farmhouse of Challoners or Manor Farm, this is the oldest house in Rottingdean and was acquired by Thomas Challoner in 1456, but only the cellars date from that time as it was altered at the end of the sixteenth century. The house was the property of the Beard family for nearly 300 years. The facade now dates from the early eighteenth century with additions of about 1805 including the five-sided glass porch. In the 1980s Challoners, which had been divided into three, was restored to a single house with all period features retained. Extensive passages from the cellars once ran all the way to the beach, but they were blocked many years ago. A mulberry tree in the garden, said to be the largest in the south of England, was planted during the reign of James II. My Grandfather was Gardener at Challoners at sometime during the 1940s and 50s. Mr and Mrs Corrie lived there at the time. I have a photo of Granddad on his Golden Wedding anniversary standing outside Challoners. His name was Ernest Newman and if anyone knows when he started work there after moving from Partridge Green, I would love to know. My cousin Carolyn Steel remembers your grandfather at Challoners between 1950 and 1954 (when she was 6 to 10 years old) and staying with our grandparents Donald and Vera Corrie. Vera died in 1954 and the house was then sold. The other gardener at the time was Bob Cowley. My aunt, Ruth Forsyth, is now 90 years old and my mother Barbara died 3 years ago. They were the 2 Corrie daughters. We enjoy keeping in contact with Challoners through the kindness of Lady Hughes. Hello Angela, I was very interested to read your comment regarding my Grandad at Challoners. 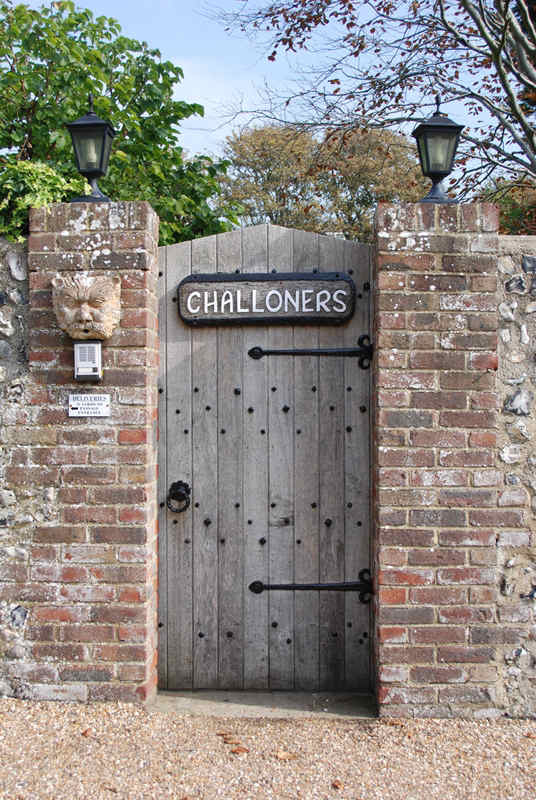 I would be interested in any information you have on Challoners as sadly Grandad died when I was five, so I know very little about the history of his gardening career there. It was lovely to know that someone remembered him. I wonder if your cousin knew my Father - Leonard Newman - who worked for Deans the Butchers in High Street, Rottingdean. Also my mother Louie who was standard bearer for the British Legion for many years. The Beards were in my lineage and I don’t seem to be able to find pictures of Challoner. Can anyone help please?